Circular flush mounted antique brass suspension with a circular glass shade and single lamp holder in the top. Perfect choice of light fitting for the hallway or landing area with the lower ceiling ceiling. 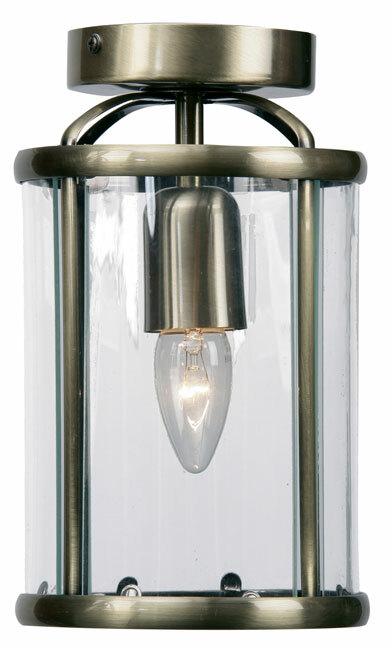 From our Lantern selection, a small, neat flush fitting ceiling lantern finished in antique brass.